Not sure if you all agree with me, but it sure is nice to have an escape from reality in the friendly confines of a comic book. Given the stress of election season, the current heat wave, an impending hurricane, and scary clowns, it is important to take a quick break and do something you enjoy. You should take a look at your FLCS and ask for some recommendations. Here is my recap from this week's offerings. 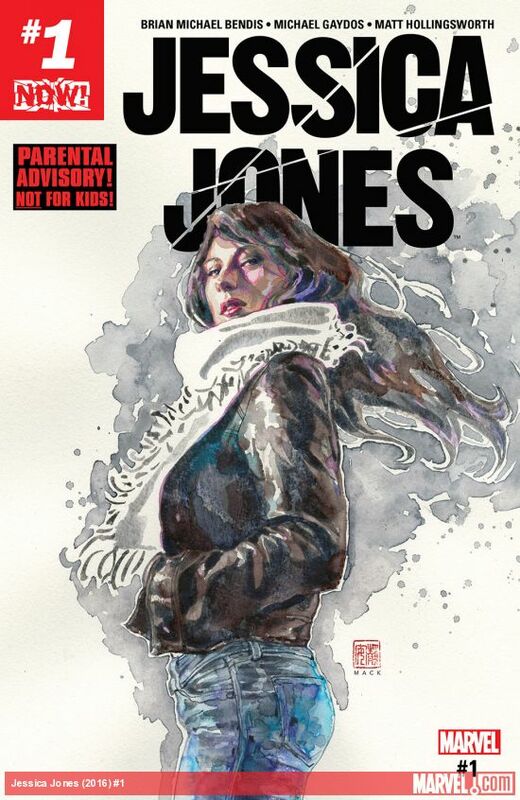 Jessica Jones #1 - I am so excited that Brian Michael Bendis has returned to write some Jessica Jones! If you didn't real Alias, that inspired the Netflix show, you should really check it out. It is a dark and twisted series that really stands out from Marvel's typical line-up. In this debut, Jones is out of prison and returns to Alias Investigations, only to have issues from her past haunt her as she tries to continue to work as a private investigator. This series would work well as a straight up P.I. series, but the addition of her personal issues with individuals with powers puts this series over the top. The Walking Dead #159 - Wow! Things have really picked up in this arc and I have a feeling we are going to be dealing with a lot of loss when the dust has settled. The Skin Walkers seem more organized than anticipated, but a moment of pure joy might set them back. Negan was reunited with Lucille!! He shed a tear, referred to her as his Excalibur and his can of spinach! There is something special about witnessing an elated Negan and I fear what this means for the rest of us. The only thing I can be sure of is that I feel Rick and company are going to be looking for a new home soon. I don't think that things are going to work out after the attack. Paper Girls #10 - In a bizarre turn of events, I feel we are getting closer to solving this mystery and it hits very close to home. The girls manage to make it back to their original time, but it seems likely that Donald Trump and Apple have something to do with an intergalactic conspiracy. While Trump isn't mentioned directly and the only hint of Apple is the logo, it all makes sense. If someone as reckless as Trump ascends to the highest title in the world, it is possible that an evil tech company is behind it for reasons we can't possibly imagine. At least that is what I am making of this book. I am most likely way off basis and you should disregard this paragraph. Just know that this series continues to be a heck of a lot of fun and makes me want to watch 80's movies all weekend long. Luke Cage #1 - With the return of Jessica Jones, and her past relations with Luke Cage, I was really looking forward to this title. Unfortunately it feels like someone took Shaft and Ren and Stimpy and mashed them together to make a comic. If that sounds like your cup of tea, by all means check this title out. This series, however, is not for me and I am happy to report that I won't have to read any future issues. Props for thinking outside of the box on this one, but I cannot dig it.